Rumor has it that Century used to have a factory rep that would weld those cans together with a 120V mig doing demonstrations. I know Im digging up an old thread, but any body have any more pictures? I was thinking about trying this again, as over the weekend I saw one of the new Bud Lite Aluminum "bottles" and noticed how stout the aluminum was compared to a conventional can. 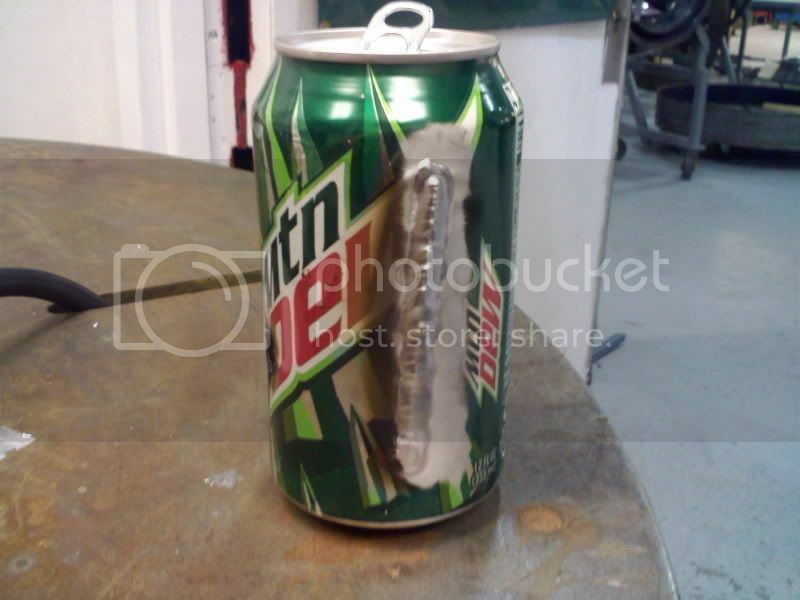 so i bring the two cola cans welded together to a friend of mines shop. (not a welding shop). and it's funny how many people say how easy it is. then my friend tell's them to duplicate it and they stop telling. people are just amazing. if they now how to weld at lest they might know the cans are aluminum.